In this look, I am really pulling out the spring colors with this pink in my boyfriend chinos (not jeans because I don't really like wearing jeans too much). Just a really casual feel. Oh yeah, these sunglasses. 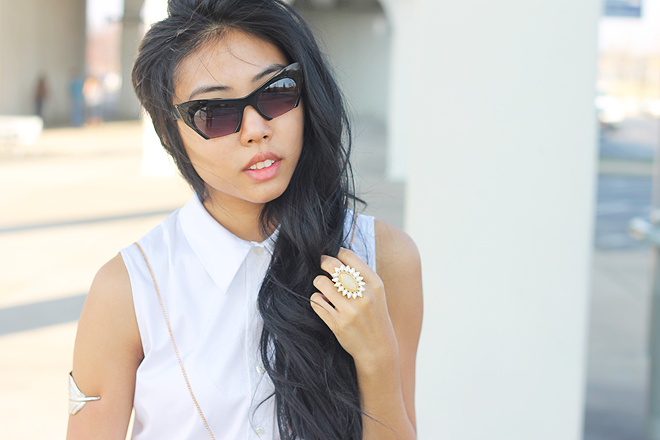 I saw these cut sunnies from Grey Ant and knew I had to get these inspired pair from ZeroUV. 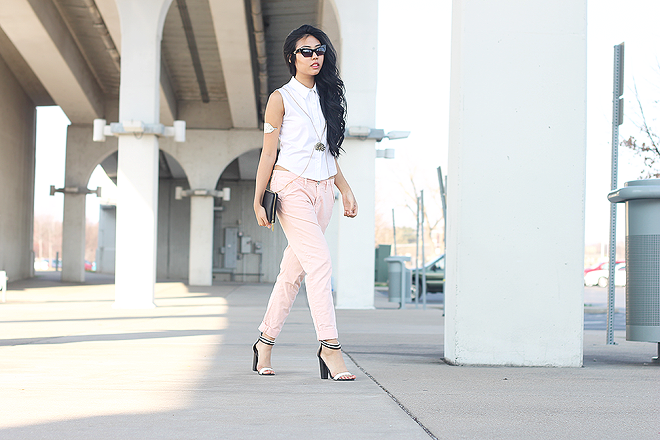 what a great spring outfit - those pastel pants are gorgeous! 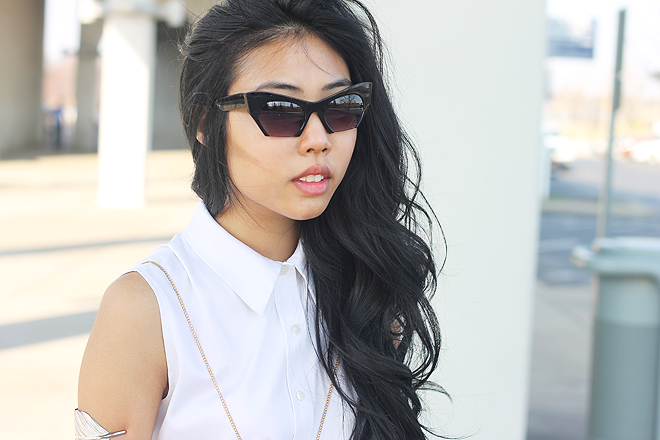 Also, your sunnies are the coolest things ever! You outdid yourself in this post with your accesories, wow! the rolled-up pants with the heels are perfection! you are looking fierce girl. this look is so great for Spring! I love everything about this look, so pretty and all about spring! So cute! Looking lovely sweetie!